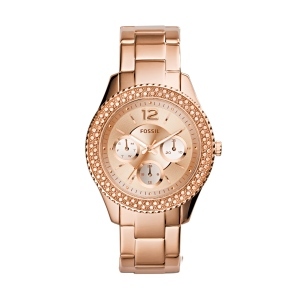 Stella Multifunction Stainless Steel Watch - Rose. Spotlight stealer, statement maker—Stella arrives in an always sophisticated silhouette. Refined with a new dial circled by 92 sparkling stones plus a polished steel bracelet, it's a go-to wrist essential that's effortlessly elegant.